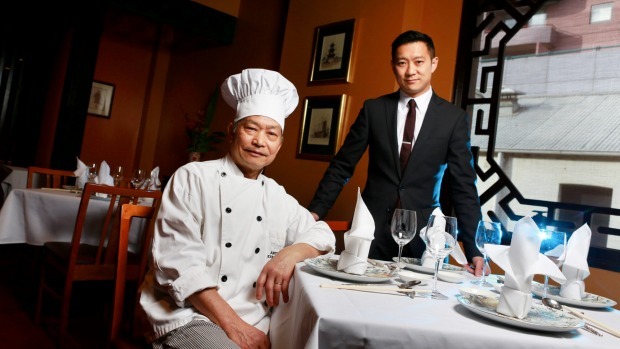 Australia’s best Chinese restaurant has just turned 40. Since opening in 1975 and scoring two chef’s hats in the Age Good Food Guide’s first edition in 1980 the Melbourne restaurant’s lofty hospitality standards have rarely faltered. Original owner Gilbert Lau recalls a nervous but uneventful opening night on Monday May 26, 1975. “We didn’t burn the fish or the beef,” he laughs. “But we probably didn’t do it that well, either.” In 1985 he moved the restaurant to its current digs in Market Lane (opening on June 18 and operating both sites until 1988). In 2002 he stepped down, selling the restaurant to three long-serving staff: chef (since 1981) Anthony Lui, Patricia Fung and William Shek. Lui’s son Jason joined the restaurant in 2003, eventually taking over front of house and winning the 2012 Good Food Guide’s Service Excellence award. Now 37, he’s implemented subtle changes including engaging with social media and opting for a twice-daily-changing printed menu instead of the ‘secret’ verbal specials many regulars were used to. This article was originally published in the Age and the Sydney Morning Herald.